Dingyi Pei, Junwu Dong, and Chumming Rong, Method and Apparatus for Operating Secure Sensor Networks., PCT/GB2008/004003. Chunming Rong and Gansen Zhao, SYSTEM FOR PROTECTING AN ENCRYPTED INFORMATION UNIT,PCT/EP2010/066386. Erdal Cayirci and Chunming Rong, Security in Wireless Ad Hoc, Sensor and Mesh Networks , John Wiley & Sons, 2009, ISBN 978-0-470-02748-6. Martin G. Jaatun, Gansen Zhao, Chunming Rong, Lecture Note for Computer Science - Cloud Computing , Proc. of the first international conference, CloudCom 2009, Beijing, December 1-4, 2009, Springer, ISSN 0302-9743, ISBN 978-3-642-10664-4. Chunming Rong, Martin G. Jaatun, Frode Eika Sandnes, Laurence T.Yang, Jianhua Ma, Lecture Note for Computer Science - Autonomic and Trusted Computing , Proceedings of 5th International Conference, ATC 2008, Oslo, Norway, June 23-25, 2008, Springer, ISSN 0302-9743, ISBN 978-3-540-69294-2. Frode Eika Sandnes, Yan Zhang, Chunming Rong, Laurence T. Yang, Jianhua Ma, Lecture Note for Computer Science - Ubiquitous Intelligent Computing , Proceedings of 5th International Conference, UIC 2008, Oslo, Norway, June 23-25, 2008, Springer, ISSN 0302-9743, ISBN 978-3-540-69292-8. Chunming Rong, Gansen Zhao and Erdal Cayirci, Wireless Network Security, Chapter 11, pp. 169-182, Computer and Information Security Handbook, by John R. Vacca (Editor). Morgan Kaufmann (Elsevier Science), 2009. ISBN: 9780123743541. Chunming Rong, Gansen Zhao and Erdal Cayirci, RFID Security , Chapter 13, pp. 205-222, Computer and Information Security Handbook, by John R. Vacca (Editor). Morgan Kaufmann (Elsevier Science), 2009. ISBN: 9780123743541. 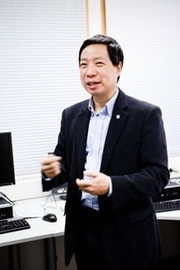 George O. M. Yee, Chunming Rong, Laurence Tianruo Yang, Journal of Computer Security, Special issue, Vol. 16, Number 3, 2008, IOS Press, ISSN 0926-227X . Dingyi Pei, Junwu Dong, and Chunming Rong, A novel key pre-distribution scheme for wireless distributed sensor networks, in Science in China Series F: Information Sciences, pp 288-298, Vol. 53, No. 2, 2010, ISSN:1009-2757. Gansen Zhao, Chunming Rong, Jiale Liu, Hai Liu, Feng Zhang, Xiaoping Ye, Na Tang, Yong Tang, Modeling User Growth for Cloud Scalability and Availability, in Journal of Internet Technology, Special issue on “Security and Privacy in Cloud Computing”, Vol. 11, Number 3, 2010, ISSN 1607-9264. Gansen Zhao, Chunming Rong, Martin G. Jaatun, Frode E. Sandnes, Reference Deployment Models for Eliminating User Concerns on Cloud Security, in Journal of Supercomputing, pp. 1-16, Special issue, June, 2010, ISSN 0920-8542. Tomasz Wiktor Wlodarczyk, Kari Anne Haaland Thorsen, and Chunming Rong, Integrated Data Processing, in Computational Science and Engineering: Challenges and Opportunities, pp. 46-47, NTNU, by Tapir Forlag, 2010. ISBN 978-82-995202. Trygve Eftestøl, Kari Anne Haaland Thorsen, Erlend Tøssebro, and Chunming Rong, Petter Andreas Steen, Representing resuscitation data - Considerations on efficient analysis of quality of cardiopulmonary resuscitation, in Resuscitation journal, ISSN 0300-9572, Vol. 80, No. 3, pp. 311-317, 2009. Kari Anne Haaland Thorsen, Trygve Eftestøl, Erlend Tøssebro, and Chunming Rong, Petter Andreas Steen, Using Ontologies to Integrate and Share Resuscitation Data from Diverse Medical Devices, in Resuscitation journal, ISSN 0300-9572, Vol. 80, No. 5, pp. 511-516, 2009. Son T. Nguyen, Erdal Cayirci, Liang Yan, Chunming Rong, A Shadow Zone Aware Routing Protocol for Acoustic Underwater Sensor Networks, In IEEE Communications Letters, ISSN: 1089-7798, Vol. 13, Issue 5, pp. 366-368, May 2009. Yan Liang and Chunming Rong, Strengthen RFID Tags Security Using New Data Structure, in International Journal of Control and Automation, pp.51-58, Vol.1, 2008, ISSN 2005-4297. Janne Merete Hagen, Tormod Kalberg Sivertsen, Chunming Rong, Protection against unauthorized access and computer crime in Norwegian enterprises; in Journal of Computer Security, pp.341-366, ISSN 0926-227X , Vol. 16, Number 3, IOS Press, 2008. Kari Anne Haaland Thorsen, and Chunming Rong, On Ubiquitous Integrated Computing, in International Journal of Computer Science and Applications, pp. 46-55, Vol. 5, No. 3, 2008, ISSN: 0972-9038. Christian Veigner, Chunming Rong, Flooding Attack of the Binding Cache in Mobile IPv6; in E-business and Telecommunication Networks. Volume III. pp. 187-200. 2007. ISSN 1865-0929. ISBN 9783540759928. Geng Yang, Chunming Rong, Jian-gang Sheng, Jiangtao Wang, A Novel Approach to Role-Based Access Control; in Chinese Journal of Electronics (in English), Vol. 16 No. 1, pp. 1-6, 2007. Geng Yang, Chunming Rong, Christian Veigner, Jiangtao Wang, Hongbing Cheng, Identity-Based Key Agreement and Encryption For Wireless Sensor Networks, in International Journal of Computer Science and Network Security, Vol. 6, No. 5, pp. 182-189, 2006. Geng Yang, Jian-gang Sheng, Chunming Rong, Theoretical Research on Role Based Access Control (in Chinese with English title and abstract); in Journal of Nanjing University of Posts and Telecommunications (Natural Science), ISSN 1673-5439, Vol.26, No.3, (Sum. No. 104), June 2006. Anne Marie Hegland, Eli Winjum, Stig F. Mjølsnes, Chunming Rong, Øivind Kure, Pål Spilling, A Survey of Key Management in ad hoc Networks; in the IEEE Communications Surveys & Tutorials, ISSN 1553-877X, pp. 48-66, Vol. 8, No.3, 3rd quarter issue of 2006. Kjell Olav Kaland, Chunming Rong, Geng Yang, An E-Wallet System with Decentralized Management; Management of E-Commerce and E-Government, Series: Advances in Computation Theory and Practice, ISBN: 1-60021-324-3, by NOVA Science Publisher, New York, 2006. Geng Yang, Chunming Rong and Lei Peng, A Novel Approach for Redirecting Module in Honeypot Systems, the Journal of China Universities of Posts and Telecommunications, 12(3): 58-62. 2005. Geng Yang, Chunming Rong and Daiyue Ping, A Distributed Honeypots for Grid Security, Lecture Notes in Computer Science(LNCS) 3032, pp. 1083-1087, Springer, 2004. Chunming Rong, On Probabilistic Scheme For Encryption Using Nonlinear Codes Mapped from Z4 Linear Codes; In IEICE Trans. on Fundamentals of Electronics, Communications and Computer Sciences - Special issue on Nonlinear Theory and its Applications, Vol.E86-A, No.9, pp.2248-2250, September 2003. Stig Frode Mjølsnes, Chunming Rong, On-line E-Wallet System with Decentralized Credential Keeper; In ACM Mobile networks & Applications Journal (MONET), special issue on Personal Environment Mobility in Multi-Provider and Multi-Segment Networks, Vol. 8, No. 1, pp.87-99, Feb. 2003. Tor Helleseth, Chunming Rong, Kyeongcheol Yang, On t-designs from Codes over Z4; In Journal Discrete Mathematics, vol. 238/1-3, pp. 67-80, 2001. Tor Helleseth, Chunming Rong, Kyeongcheol Yang, New 3-Designs from Goethals Codes over Z4; In Journal Discrete Mathematics, vol. 226, pp. 403-409, 2001. Tor Helleseth, Chunming Rong, Daniel Sandberg, New Families of Almost Perfect Nonlinear Power Mappings; In IEEE Trans. on Information Theory, vol. IT-45, no. 2, pp. 475-485, March, 1999. Chunming Rong, Tor Helleseth, Jyrki Lahtonen, On Algebraic Decoding of the Z4-Linear Calderbank-McGuire Code; In IEEE Trans. on Information Theory, vol. IT-45, no. 5, pp. 1423-1434, July, 1999. Iwan Duursma, Tor Helleseth, Chunming Rong, Kyeongcheol Yang, Split Weight Enumerators for the Preparata Codes with Applications to Designs; In Journal Designs, Codes and Cryptography, vol. 18, pp. 103-124, 1999. Tor Helleseth, Chunming Rong, Kyeongcheol Yang, New Infinite Families of 3-Designs from Preparata Codes over Z4; In Journal Discrete Mathematics, vol. 195/1-3, pp. 139-156, 1999. Chunming Rong, Tor Helleseth, Use Characteristic Sets to Decode Cyclic Codes up to Actual Minimum Distance; In London Mathematical Society Lecture Note Series 233, pp. 297-312, 1996. Ching-Hsien Hsu, Shih-Chang Chen, Chih-Chun Lee, Hsi-Ya Chang, Kuan-Chou Lai, Kuan-Ching Li, and Chunming Rong, Energy-Aware Task Consolidation Technique for Cloud Computing, in Proc. of the 3rd IEEE international conference on Cloud Computing Technology and Science (CloudCom) 2011, pp.115-121, Athens, Greece, November 29-December 1, 2011. ISBN 978-0-7695-4622-3. Yuri Demchenko, Canh Ngo, Cees de Laat, Tomasz Wiktor Wlodarczyk, Chunming Rong and Wolfgang Ziegler, Security Infrastructure for On-demand Provisioned Cloud Infrastructure Services, in Proc. of the 3rd IEEE international conference on Cloud Computing Technology and Science (CloudCom) 2011, pp.255-263, Athens, Greece, November 29-December 1, 2011. ISBN 978-0-7695-4622-3. Rui M Esteves, Rui Pais, and Chunming Rong, Using Mahout for Clustering Wikipedia’s Latest Articles: A Comparison between K-means and Fuzzy C-means in the Cloud, in Proc. of the 3rd IEEE international conference on Cloud Computing Technology and Science (CloudCom) 2011, pp.565-569, Athens, Greece, November 29-December 1, 2011. ISBN 978-0-7695-4622-3. Tomasz Wiktor Wlodarczyk, Chunming Rong,, An Initial Survey on Integration and Application of Cloud Computing to High Performance Computing, in Proc. of the 3rd IEEE international conference on Cloud Computing Technology and Science (CloudCom) 2011, pp.612-617, Athens, Greece, November 29-December 1, 2011. ISBN 978-0-7695-4622-3. Son T. Nguyen, Semere Tsehaye Ghebregiorgish, Nour Alabbasi, and Chunming Rong, Integer Factorization Using Hadoop, in Proc. of the 3rd IEEE international conference on Cloud Computing Technology and Science (CloudCom) 2011, pp.628-633, Athens, Greece, November 29-December 1, 2011. ISBN 978-0-7695-4622-3. Tomasz Wiktor Wlodarczyk, Chunming Rong, Dagfinn Wåge, Challenges in healthcare and welfare intercloud, in Proc. of the 7th International Conference on Digital Content, Multimedia Technology and its Applications (IDCTA), August, 2011, Busan, Korea, pp. 45-48, by IEEE Computer Society, ISBN 978-1-4577-0473-4. Tomasz Wiktor Wlodarczyk, Chunming Rong, Applying SWRL-F to Intercloud Constraints Analysis, in Proc. of the 2011 International Conference on High Performance Computing and Simulation (HPCS), July, 2011, Istanbul, Turkey, pp. 391-396, by IEEE Computer Society, ISBN 978-1-61284-380-3. Erdal Cayirci, Chunming Rong, Intercloud for Simulation Federations, in Proc. of the 2011 International Conference on High Performance Computing and Simulation (HPCS), July, 2011, Istanbul, Turkey, pp. 397-404, by IEEE Computer Society, ISBN 978-1-61284-380-3. Tomasz Wiktor Wlodarczyk, Paea LePendu, Nigam Shah, Chunming Rong, Scaling-out the NCBO Resource Index Processing and Maintenance, in Proceedings of the 1st Workshop on High-Performance Computing for the Semantic Web (HPCSW 2011 -ESWC), May 2011,Heraklion, Greece, CEUR Workshop Proceedings, Vol. 736, paper 2, ISSN 1613-0073. Tomasz Wiktor Wlodarczyk, Martin O'Connor, Mark Musen, Chunming Rong, SWRL-F: a fuzzy logic extension of the semantic web rule language, in Proc. of the the International Conference on Web Intelligence, Mining and Semantics (WIMS’11), May 2011, Songdal, Norway, by ACM, ISBN: 978-1-4503-0148-0. Chunming Rong, Son T. Nguyen, Cloud Trends and Security Challenges, keynote, the 3rd International Workshop on Security and Communication Networks (IWSCN 2011), May, Gjøvik, Norway. Liang Yan, Hongbo Guo, Min Chen, Chunming Rong, Victor Leung, Mobile Agent Code Updating and Authentication Protocol for Code-centric RFID System, in Lecture Notes in Computer Science (Springer) – Proc. of the IFIP Networking 2011, Workshop on Wireless Cooperative Network Security (WCNS), May, 2011, Valencia, Spain, LNCS Volume 6827/2011, pp. 243-250, ISSN 0302-9743, ISBN 978-3-642-23040-0. Chunming Rong, Skjalg Eggen, Hongbing Cheng, An Efficient Intrusion Detection Algorithm for Wireless Sensor networks, in Communications in Computer and Information Science (Springer), ISSN 1865-0929, Volume 187, pp. 116-129, 2011, as proc. of the STA Workshop on ‘Security & Trust for Applications in Virtualised Environments’ (STAVE 2011), June 2011, Crete, Greece. Tomasz Wiktor Wlodarczyk, Yi Han, and Chunming Rong, Performance Analysis of Hadoop for Query Processing, in Proc. of Workshops for 2011 IEEE Intl. Conference on Advanced Information Networking and Applications (AINA), March 2011, Singapore, pp.507-513, ISBN 978-0-7695-4338-3. Rui Maximo Esteves, Rui Pais, and Chunming Rong, K-means Clustering in the Cloud? A Mahout Test, in Proc. of Workshops for 2011 IEEE Intl. Conference on Advanced Information Networking and Applications (AINA), March 2011, Singapore, pp.514-519, ISBN 978-0-7695-4338-3. Hongbing Cheng, Chunming Rong and Geng Yang, Design and analysis of a secure routing protocol algorithm for wireless sensor network, in Proc. of the Workshops for 2011 IEEE Intl. Conference on Advanced Information Networking and Applications (AINA), Singapore, March 2011, pp. 475-480, ISSN 1550-445X, ISBN 978-1-61284-313-1 (print) and 978-0-7695-4337-6 (CD). Chunming Rong, Skjalg Eggen, Hongbing Cheng, A Novel Intrusion Detection Algorithm for Wireless Sensor networks, in Proc. of the Wireless VITAE 2011, pp. 1-7, March 2011 - Chennai, India, by IEEE Computer Society, ISBN 978-1-4577-0786-5 (print) 978-1-4244-4067-2 (CD). Gansen Zhao, Chunming Rong, Jin Li, Feng Zhang, and Yong Tang,Trusted Data Sharing over Untrusted Cloud Storage Providers, in Proc. of the 2nd IEEE international conference on Cloud Computing Technology and Science (CloudCom) 2010, pp.89-96, Indianapolis, USA, November 30-December 3, 2010. ISBN 978-0-7695-4302-4. Jin Li, Gansen Zhao, Xiaofeng Chen, Dongqing Xie, Chunming Rong, Wenjun Li, Lianzhang Tang, and Yong Tang,Fine-grained Data Access Control Systems with User Accountability in Cloud Computing, in Proc. of the 2nd IEEE international conference on Cloud Computing Technology and Science (CloudCom) 2010, pp.97-103, Indianapolis, USA, November 30-December 3, 2010. ISBN 978-0-7695-4302-4. Rui Maximo Esteves and Chunming Rong, Social Impact of Privacy in Cloud Computing, in Proc. of the 2nd IEEE international conference on Cloud Computing Technology and Science (CloudCom) 2010, pp.593-596, Indianapolis, USA, November 30-December 3, 2010. ISBN 978-0-7695-4302-4. Tomasz Wiktor Wlodarczyk and Chunming Rong, On the Sustainability Impacts of Cloud-enabled Cyber Physical Space, in Proc. of the 2nd IEEE international conference on Cloud Computing Technology and Science (CloudCom) 2010, pp.597-602, Indianapolis, USA, November 30-December 3, 2010. ISBN 978-0-7695-4302-4. Baodong Jia, Tomasz Wiktor Wlodarczyk and Chunming Rong, Performance Considerations of Data Acquisition in Hadoop System, in Proc. of the 2nd IEEE international conference on Cloud Computing Technology and Science (CloudCom) 2010, pp. 545-549, Indianapolis, USA, November 30-December 3, 2010. ISBN 978-0-7695-4302-4. Tomasz Wiktor Wlodarczyk, Martin O’Connor, Chunming Rong, Mark Musen, SWRL-F - A Fuzzy Logic Extension of the Semantic Web Rule Language, in Proceedings of the 6th International Workshop on Uncertainty Reasoning for the Semantic Web (URSW 2010), Shanghai, China, CEUR Workshop Proceedings, Vol. 654, pp.97-100. ISSN 1613-0073. Tomasz Wiktor Wlodarczyk, Chunming Rong, Baodong Jia, Laurentiu Cocanu, Csongor I. Nyulas Mark A. Musen, DataStorm - An Ontology-driven Framework for Cloud-based Data Analytic System, in Proc. of the IEEE 6th World Congress on Services, pp.123-127, July 5-10, 2010, Miami, USA. ISBN: 978-0-7695-4129-7. Tomasz Wiktor Wlodarczyk, Chunming Rong, Csongor I. Nyulas Mark A. Musen, An Efficient Approach to Intelligent Real-time Monitoring Using Ontologies and Hadoop, in Proc. of the 2010 International Conference on High Performance Computing and Simulation (HPCS), InterCloud Workshop, pp.209-215, June 28 - July 2, 2010, Caen, France. ISBN 978-1-4244-6827-0. Liang Yan, and Chunming Rong, Tag Content Access Control with Identity-based Key Exchange”, in ICNAAM 2010: International Conference of Numerical Analysis and Applied Mathematics 2010. AIP Conference Proceedings, Volume 1281, Issue 1, pp. 297-300, 2010. ISBN 978-0-7354-0831-9. Chunming Rong, An Industrial Cloud: Integrated Operations in Oil and Gas in the Norwegian Continental Shelf, in Lecture Note for Computer Science (Springer) - Proc. of the first international conference on Cloud Computing (CloudCom) 2009, pp.19-23, Beijing, December 1-4, 2009, ISSN 0302-9743, ISBN 978-3-642-10664-4. Liang Yan, Chunming Rong and Gansen Zhao, Strengthen Cloud Computing Security with Federal Identity Management Using Hierarchical Identity-based Cryptography, in Lecture Note for Computer Science (Springer) - Proc. of the first international conference on Cloud Computing (CloudCom) 2009, pp.167-177, Beijing, December 1-4, 2009, ISSN 0302-9743, ISBN 978-3-642-10664-4. Erdal Cayirci and Chunming Rong, Wim Huiskamp, Snow Leopard Cloud: A Multi-national Education Training and Experimentation Cloud and It's Security Challenges, in Lecture Note for Computer Science (Springer) - Proc. of the first international conference on Cloud Computing (CloudCom) 2009, pp.57-68, Beijing, December 1-4, 2009, ISSN 0302-9743, ISBN 978-3-642-10664-4. Tomasz Wiktor Wlodarczyk, Chunming Rong and Kari Anne Haaland Thorsen, Industrial Cloud: Toward Inter-Enterprise Integration, in Lecture Note for Computer Science (Springer) - Proc. of the first international conference on Cloud Computing (CloudCom) 2009, pp.460-471, Beijing, December 1-4, 2009, ISSN 0302-9743, ISBN 978-3-642-10664-4. Zhenping Cui, Gansen Zhao, Chunming Rong, Wei Sun and Feng Zhang, Improving Network Locality Awareness for BitTorrent, proceeding of the 4th International Conference on Pervasive Computing and Applications (ICPCA2009), pp. 455-460, IEEE Press, Tamkang University, Taiwan, December 3-5, 2009. ISBN 978-1-4244-5228-6. Rui Máximo Esteves, Tomasz Wiktor Wlodarczyk, Chunming Rong and Einar Landre, Bayesian Networks for Fault Detection under Lack of Historical Data, Proceeding of the 10th International Symposium on Pervasive Systems, Algorithms and Networks (I-SPAN), pp. 732-736, IEEE Computer Society, Kaohsiung, Taiwan, R.O.C., December 14-16, 2009. ISBN 978-0-7695-3908-9. Erdal Cayirci, Son T Nguyen and Chunming Rong, Secure Many to Many Routing for Wireless Sensor and Actuator Networks, Invited paper , Proceedings of the 2nd ACM International Conference on Security of Information and Networks (SIN'2009), pp 172-178, Famagusta, North Cyprus, October 2009. ISBN:978-1-60558-412-6. Son T Nguyen ,Erdal Cayirci, Yan Liang and Chunming Rong, Shadow Zone Aware Routing Protocol for Tactical Acoustic Undersea Surveillance Networks, MilCom, Paper ID 900131, IEEE Press, 2009. ISBN 9781424452392. Duan Hu, Furong Wang, Chen Huang, Chunming Rong, A Novel Relay Encryption Scheme for Mobile Ad hoc Networks, Proc. of Symposia and Workshops on Ubiquitous, Autonomic and Trusted Computing, UIC-ATC 2009, pp. 417-422, Brisbane, Australia, July 7-9, IEEE Computer Society, 2009. ISBN: 978-0-7695-3737-5. Kari Anne Thorsen, Trygve Eftestøl, Chunming Rong and Petter Andreas Steen, An Integrated Information Sharing Structure of Resuscitation Data, AINA2009, UK, pp.7-12, ISBN 978-0-7695-3639-2. Xin Yu, Chunming Rong, Benxiong Huang, A Flexible Garbage Collect Algorithm for Flash Storage Management, in Proc. FGCN2008 (Future Generation Communication and Networking), Sanya, China, December, 2008, Vol. I, pp. 354-357, IEEE Computer Society Press, ISBN 978-0-7695-3431-2. Kui Xu, Fan Zhang, Chunming Rong, Bin Dai, Benxiong Huang, Block Size Estimation for Time-Sensitive Applications under Wireless Network Coding, in Proc. FGCN2008 (Future Generation Communication and Networking), Sanya, China, December, 2008, Vol. I, pp. 321-328, IEEE Computer Society Press, ISBN 978-0-7695-3431-2. Tomomi Kawashima, Jianhua Ma, Bernady O. Apduhan, Runhe Huang, Chunming Rong, A System Prototype with Multiple Robots for Finding u-Objects in a Smart Space, in Proc. ICESS2008 (The 5th International Conference on Embedded Software and Systems), Chengdu, China, July 29-31, 2008, pp. 229-236, IEEE Computer Society Press, ISBN 978-0-7695-3287-5. Kari Anne Haaland Thorsen and Chunming Rong, Towards Dataintegration from WITSML to ISO 15926, in Lecture Note for Computer Science (Springer) - Proc. of Ubiquitous Intelligent Computing (UIC) 2008, Oslo, pp. 626-635, ISSN 0302-9743, ISBN 978-3-540-69292-8. Liang Yan and Chunming Rong, RFID System Security Using Identity-Based Cryptography, in Lecture Note for Computer Science (Springer) - Proc. of Ubiquitous Intelligent Computing (UIC) 2008, Oslo, pp.482-489, ISSN 0302-9743, ISBN 978-3-540-69292-8. Zhengxin Lu, Chen Huang, Furong Wang and Chunming Rong, SEMAP: Improving Multipath Security based on Attacking Point in Ad Hoc Networks, in Lecture Note for Computer Science (Springer) - Proc. of Autonomic & Trusted Computing (ATC) 2008, Oslo, pp.134-148, ISSN 0302-9743, ISBN 978-3-540-69294-2. Tao Yang, Ye Huang, Jianxin Chen, Geng Yang and Chunming Rong, Di-GAFR: Directed Greedy Adaptive Face-Based Routing, in Lecture Note for Computer Science (Springer) - Proc. of Autonomic and Trusted Computing (ATC) 2008, Oslo, pp. 555-566, ISSN 0302-9743, ISBN 978-3-540-69294-2. Furong Wang, Chen Huang, Jing Zhao, and Chunming Rong, IDMTM: A Novel Intrusion Detection Mechanism Based on Trust Model for Ad Hoc Networks, in Proc. of AINA 2008, Okinawa, Japan, pp. 978-984, ISSN 1550-445X, ISBN 978-0-7695-3095-6. Yi Wang, Furong Wang, Chunming Rong, and Sufang Wang, SPM: A Security Policy Based on Micropayment in Ad Hoc Networks. The 1st International Workshop on Applications of Ad hoc and Sensor Networks (AASNET2008). AINA 2008, Okinawa, Japan, pp.639-643, ISBN 978-0-7695-3096-3. Kari Anne Haaland Thorsen, and Chunming Rong, Data Integration in Oil and Gas at Norwegian Continental Shelf, The Third International Symposium on Ubiquitous Application & Security Service (UASS2008). AINA 2008, Okinawa, Japan, pp.1597-1602, ISBN 978-0-7695-3096-3. Geng Yang; Jiangtao Wang; Hongbing Cheng; Chunming Rong, An Identity-Based Encryption Scheme for BroadcastingNetwork and Parallel Computing Workshops, 2007. NPC Workshops. IFIP International Conference on Volume , Issue , 18-21 Sept. 2007 Page(s):123 - 126. Son Thanh Nguyen, Chunming Rong, Zigbee Security using Identity Based Cryptography; In Lecture Note for Computer Science (Springer Berlin / Heidelberg) - Computer Science - Autonomic and Trusted Computing: 4th International Conference, ATC 2007, Hong Kong, China, July 11 - 13, 2007, pp. 3-12. Son Thanh Nguyen, Chunming Rong, Electronic Payment Scheme using Identity-Based Cryptography; In Lecture Note for Computer Science, 4th European PKI Workshop - EuroPKI 2007, Mallorca, Balearic Islands, Spain, June 28 - 30, 2007. Chunming Rong, Won-Chol Kim, Effective Storage Security in Incompletely Trusted Environment; In Proc. of the 21th International Conference on Advanced Information Networking and Applications, Workshop SSNDS, 21-23 May, 2007, Niagara Falls, Canada, pp.432-437, ISBN 978-0-7695-2847-2. Janne Merete Hagen Tormod Kalberg Sivertsen Chunming Rong, Information Security Threats and Access Control Practices in Norwegian Businesses; In Proc. of the 21th Intl. Conf. on Advanced Information Networking and Applications, Workshop SSNDS, 21-23 May, 2007, Niagara Falls, Canada, pp.470-476. Chunming Rong, Hein Meling, Dagfinn Wåge, Towards Integrated Services for Health Monitoring; In Proc. of the 21th International Conference on Advanced Information Networking and Applications, Workshop SmarTel, 21-23 May, 2007, Niagara Falls, Canada, pp.776-781, ISBN 978-0-7695-2847-2. Christian Veigner, Chunming Rong, On Email Spamming Under the Shadow of Large Scale Use of Identity-Based Encryption; In Lecture Note for Computer Science (Springer Berlin / Heidelberg) - Computer Science - Autonomic and Trusted Computing - ISSN 0302-9743 Vol. 4158/2006: 3rd International Conference, ATC 2006, Wuhan, China, September 3 - 6, 2006, Proceedings, pp. 521 - 530. Christian Veigner, Chunming Rong, On Use of Identity-Based Encryption for Secure Emailing; In SECRYPT 2006: International Conference on Security and Cryptography, Setúbal, Portugal, August 2006, Proceedings, pp. 289 - 296, ISBN: 972-8865-63-5 or 978-972-8865-63-4. Published by the INTICC (Institute for Systems and Technologies of Information, Control and Communication) Press. Kari Anne Haaland, Chunming Rong, Securing Web Services Using Identity-Based Encryption (IBE); In SECRYPT 2006: International Conference on Security and Cryptography, Setúbal, Portugal, August 2006, Proceedings, pp. 413 - 418, ISBN: 972-8865-63-5 or 978-972-8865-63-4. Published by the INTICC (Institute for Systems and Technologies of Information, Control and Communication) Press. Peng Jiang, Geng Yang, Chunming Rong, Combined Method for Nonlinear Systems of Equations; In Lecture Note for Computer Science (Springer Berlin / Heidelberg) - Computational Science - ICCS 2006 - ISSN 0302-9743 Vol. 3994/2006: 6th International Conference, Reading, UK, May 28-31, 2006, Proceedings, Part IV, pp. 693 - 699. ISBN: 3-540-34385-7. Peng Jiang, Geng Yang, Chunming Rong, Performance Analysis of Block Jacobi Preconditioning Technique Based on Block Broyden Method; In Lecture Note for Computer Science (Springer Berlin / Heidelberg) - Computational Science - ICCS 2006 - ISSN 0302-9743 Vol. 3991/2006: 6th International Conference, Reading, UK, May 28-31, 2006, Proceedings, Part I, pp. 794 - 797. ISBN: 3-540-34379-2. Anne Marie Hegland, Eli Winjum, Pal Spilling, Chunming Rong and Øivind Kure, Analysis of IBS for MANET Security in Emergency and Rescure Operations; In Proc. of the 20th Intl. Conf. on Advanced Information Networking and Applications, Vol. 2, ISSN 1550-445X, Workshop on Pervasive Computing and Ad Hoc Communications (PCAC 2006), Vienna, Austria, April 2006, Proceedings, pp. 155-159. Quan Zhou, Geng Yang, Jiangang Shen, Chunming Rong, A Scalable Security Architecture for Grid; In Proc. of the 2005 International Conference on Parallel and Distributed Computing, Applications and Technologies (PDCAT), Dalian, China, December 2005. Christian Veigner, Chunming Rong, Flooding attack of the binding cache in Mobile IPv6; In Proc. of the 2nd International Conference on E-Business and Telecommunication Networks (ICETE), Reading, U.K., October 3-7, 2005. Christian Veigner, Chunming Rong, A New Route Optimization Protocol for Mobile IPv6 (ROM); In Proc. of the International Computer Symposium (ICS) 2004, Taipei, 2004. Geng Yang, Chunming Rong,Yunping Dai, A Distributed Honeypot System for Grid Security; In Proc. of the Grid and Cooperative Computing (GCC) 2003, Shanghai, China, 2003. Chunming Rong, Kjell Olav Kaland, Geng Yang, A E-Wallet System with Decentralized Management; In Proc. of the International Conference on Management of e-Commerce and e-Government (ICMeCG), Nanchang, China, October, 2003. Kjell Olav Kaland, Chunming Rong, Implementing a Online E-Wallet System with Decentralized Credential Keepers; In Proc. of the 6th International Conference on Electronic Commerce Research (ICECR-6), Dallas, USA, October 2003. Chunming Rong, Geng Yang, Honeypots in Blackhat Mode and its Implications; In Proc. of the 2003 International Conference on Parallel and Distributed Computing, Applications and Technologies (PDCAT), Chengdu, China, August 2003. Geng Yang, Chunming Rong, Performance Analysis of Partition Algorithms for Parallel Solution of Nonlinear Systems of Equations; In Proc. of the 2003 International Conference on Parallel and Distributed Computing, Applications and Technologies (PDCAT), Chengdu, China, August 2003. Chunming Rong, On Probabilistic Scheme For Encryption Using Nonlinear Codes Mapped from Z4 Linear Codes; In Proc. of the 2002 International Symposium on Information Theory and Its Applications (ISITA 2002), Xi'an, China, October 2002. Chunming Rong, Reggie Davidrajuh, A New Decentralized P2P Architecture Providing User Anonymity by Using Secret Sharing; In Proc. of the 5th International Conference on Electronic Commerce Research (ICECR-5), Montréal, Canada, October 2002. Reggie Davidrajuh, Chunming Rong, A Methodology for Tactical Design of Virtual Supply Chain for E-Tailing; In Proc. of the 5th International Conference on Electronic Commerce Research (ICECR-5), Montréal, Canada, October 2002. Stig Frode Mjølsnes, Chunming Rong, Localized Credentials for Server Assisted Mobile Wallet; In Proc. ICCNMC'01: 2001 Intl. Conf. on Computer Networks and Mobile Computing, Beijing, China, October 2001. Tor Helleseth, Chunming Rong, Kyeongcheol Yang, On t-designs from Codes over Z4; In the 3rd Shanghai Conference on Codes, Designs and Finite Geometries, Shanghai - China, 1999. Tor Helleseth, Chunming Rong, Kyeongcheol Yang, Some 3-designs from Goethals Codes over Z4; In Proc. the II Intl. Workshop on Optimal codes and related topics, Sozopol, Bulgaria, 1998. Chunming Rong, Tor Helleseth, The Algebraic Decoding of the Z4-Linear Calderbank-McGuire Code; In Proc. ISIT'97: 1997 IEEE Intl. Symposium on Information Theory, pp. 328, Ulm, Germany, 1997. Tor Helleseth, P. Vijay Kumar, Chunming Rong, Kyeongcheol Yang, On Infinite Families of 3-Designs from Preparata Codes and Related Codes over Z4; In Proc. 35th Annual Allerton Conf. on Communication, Control and Computing, Allerton, USA, Sept. 1997. Chunming Rong, Tor Helleseth, Computational Algorithms for Decoding; In Abstracts - 3rd Intl. Conference on Finite Fields and Applications, Glasgow, Scotland, 1995.